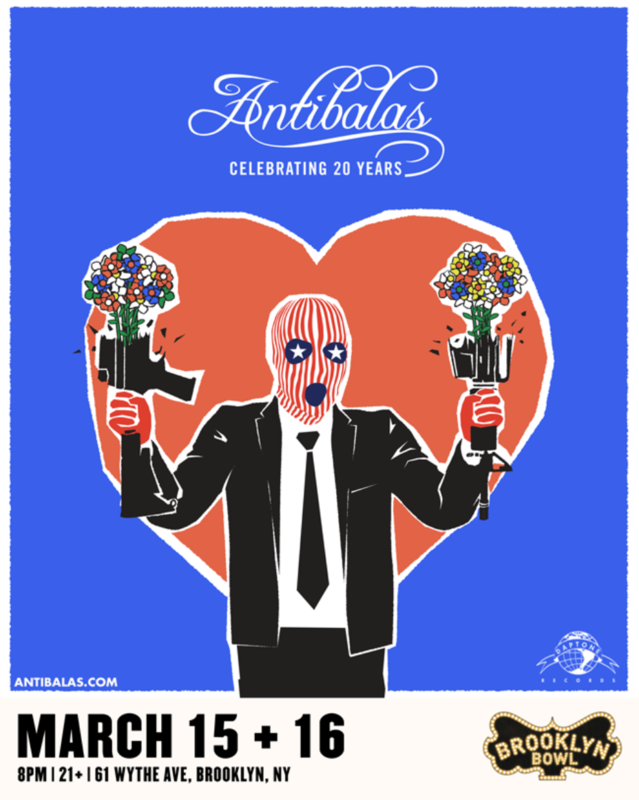 Two nights celebrating 20 years of Brooklyn's Afrobeat champs, Antibalas. The musical collective known as Antibalas (Spanish for bullet-proof or anti-bullets) was conceived of in Mexico City and formed in Brooklyn New York. The early nucleus of the group was composed of the band's founder Martín Perna and included several members from the Soul Providers / Dap Kings band, performing their first show in May 1998 in Harlem, NY. Soon after, Lagos, Nigeria native Amayo joined the band after seeing the band at a neighborhood concert. Fluent in the afrobeat music of Fela, he began composing and performing lyrics and assuming the role of the group's lead vocalist / frontman. The band began rehearsing and composing at Desco 41st street studios and later at the first Daptone Studios at Amayo's Afro Spot venue. They spent their first year performing exclusively in noncommercial spaces in lofts, community centers, parks, art galleries. In August 1999, they created a weekly residence called Africalia at Tribeca club NoMoore that ran for 18 months, where the band and repertoire expanded.